(SPOT.ph) Forgive us for quoting a YA novel, but it seems pretty apt: “Art [isn't] supposed to look nice; [it's] supposed to make you feel something,” said Park in Rainbow Rowell's Eleanor & Park. As if to prove that, many artists have gone from producing aesthetically pleasing works to creating art that triggers strong emotions, positive or not. Creations often become disputable when they go against the accepted norms. 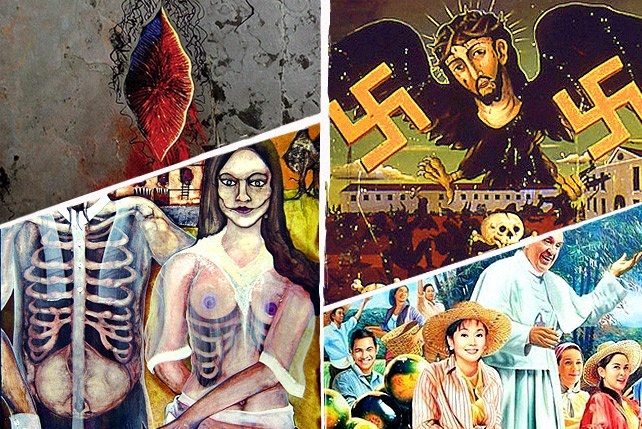 Let’s take a look at 10 works by Filipino artists that drew criticism, controversy, or outrage for exploring themes which were described as shocking, weird, or offensive. Read at your own risk. Manuel Ocampo was invited to Documenta IX, a prestigious modern and contemporary art exhibition in Germany. 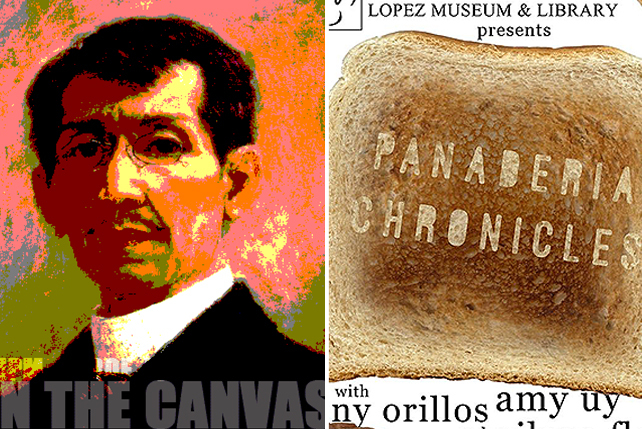 All five of Ocampo's paintings were eliminated from the show because they feature swastikas. 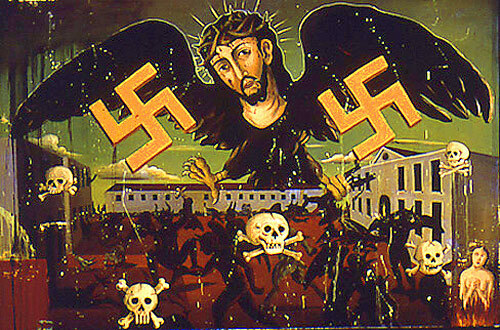 His work, “Untitled (Burnt-Out Europe),” depicts Jesus Christ's head on a hawk’s body at the center of two large swastikas, and floating over a courtyard of horned demons. Ocampo said that his works were approved ahead of time, and they even appeared on the exhibition’s catalogue. "The only option they gave me was to hang it in the work room. I had no choice. Either that or pull out," Ocampo said in a report by the Los Angeles Times. According to him, his use of symbols refers to political and social problems. "It is not to advocate fascism. It focuses on the sign of the times and what these symbols mean to us in this present day," he said. Another painting that was pulled out of an international exhibit is Igan D’Bayan’s “Gothika Filipina 2.” In 2009, the curators of the Asian International Art Exhibition (AIAE) prevented D’Bayan’s painting from being displayed at the National Art Gallery in Kuala Lumpur, Malaysia. 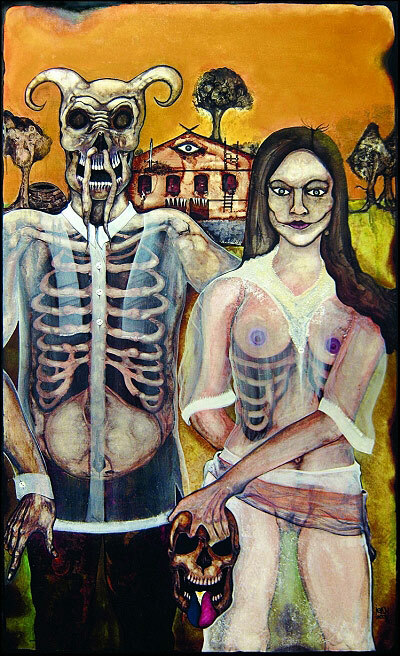 The piece shows a horned, skeletal man with a woman, both wearing see-through native Filipino clothing. The woman’s breasts and pubis are visible, and she is seen holding a skull with a tongue bearing the Philippine flag. D’Bayan was given the option to submit another painting, cover the “offending area,” or face consequences. He chose to leave the painting as is, which was not accepted by the organizers. According to D’Bayan, his painting addresses socio-political questions. “I didn’t create a provocative work for the sake of provocation...My aim was not to disrespect the local culture, sensibilities, and moral values of the host country in any way,” he said. He later held a one-painting show of “Gothika Filipina 2” at The Crucible Gallery in SM Megamall in 2010. Juan Luna’s 1892 oil painting, “The Parisian Life,” became controversial only in 2002 when it was bought by the Government Services Insurance System (GSIS) at an auction in Hong Kong for P46 million—raising questions over whether government workers’ money was being used properly. The Commission on Audit (COA) filed a case against then President and General Manager of GSIS, Winston Garcia, for graft and grave misconduct. Garcia remained unshaken, saying that it was the right decision to keep the valuable piece of heritage, and even offered to pay back the GSIS with his personal money, which the COA refused. In September 2015, Garcia revealed in an interview that the COA reconsidered because the painting’s value has now ballooned to P300 million. 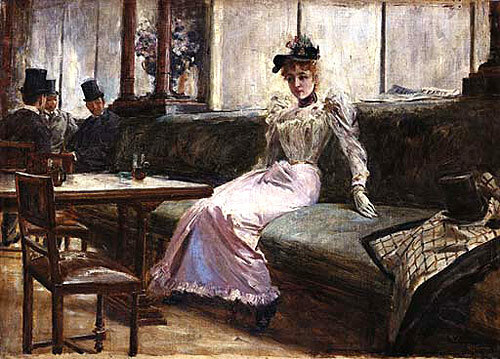 “The Parisian Life” can be viewed at the National Museum of the Philippines. This 2005 mixed media painting by Danny Sillada is the artist’s satirical reflection on the political crisis in the Philippines. 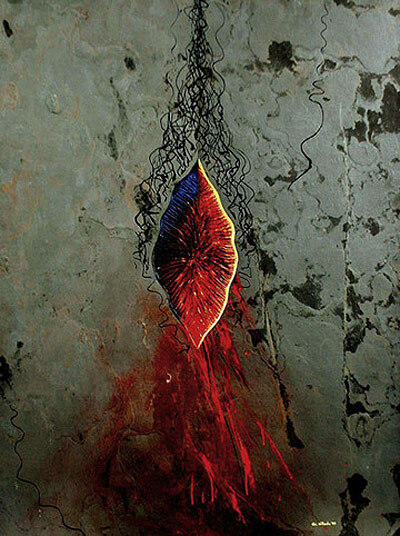 “Menstrual Period in Political History” features a vaginal form over a rocky surface, painted with red, yellow, and blue (the colors of the Philippine flag). “Like a woman’s menstrual period, Philippine politics has its own menstrual cycle in our country in the form of corruption, economic instability, violation of human rights, the involuntary disappearances of civilians, the century-old war in Mindanao, insurgency, poverty, and inadequacy of political leaders to address socio-economic and political problems in our society, to name a few,” said Sillada in an interview. Paintings referencing Muslims are rare because they frown upon figurative art. This made National Artist Carlos “Botong” Francisco’s “Muslim Betrothal” controversial. The painting depicts a Muslim wedding, with the bride receiving blessings from an Imam (religious leader). What some found offensive was the inclusion in the painting of half-naked women dancing, along with a pig—both of which are strictly haram (forbidden) for Muslims. 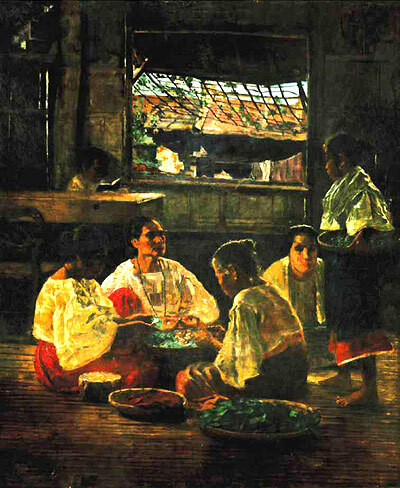 Heirs of artist Jorge Pineda opposed the auction by the León Gallery of the painting “Las Buyeras,” winner of the bronze medal in the 1904 St. Louis Exposition in the U.S. Georgina “Girna” Pineda, who is one of the late artist's five grandchildren, questioned the authenticity of the painting being auctioned as she claimed that her family is in possession of the two versions of “Las Buyeras.” According to León Gallery owner Jaime Ponce de León, the Pineda work in its auction came from the late National Artist for Literature and former Education Secretary Alejandro A. Roces. 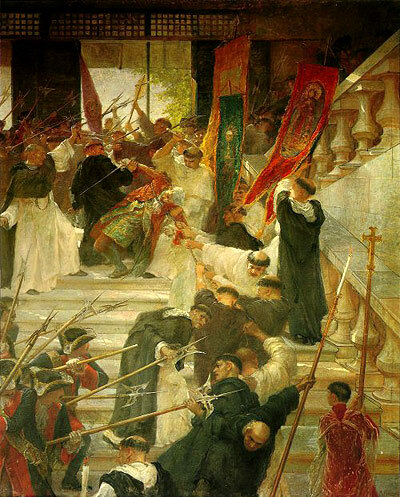 Upon hearing of the family’s issue, de León disclosed to the bidders that there are possible reproductions of the painting. 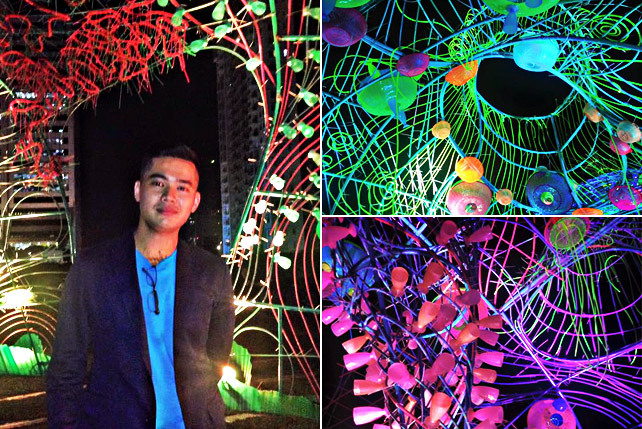 A veteran art collector said that it was possible that Pineda made replicas of his winning work. 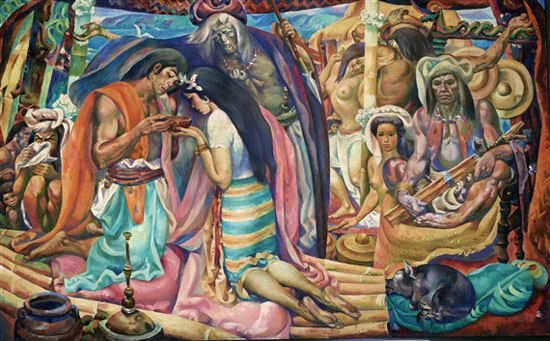 Philippine art during the 1920s was conservative, and it was around this time that Victorio Edades returned to the country to pioneer the modern art movement. “The Builders” is one of the 30 paintings Edades mounted in a 1928 solo show, which featured muscular men doing manual labor. It was frowned upon due to the disproportions, dark colors, and rough strokes, which contrast the lively colors and cheery scenes common in paintings at that time. It was so unusual that not even one painting was sold. Edades is now known as the Father of Philippine Modern Art for deviating from the Filipino’s idealistic approach to art. “The Builders” is currently a part of the Cultural Center of the Philippines' (CCP) permanent collection. Dante Hipolito’s oil painting, “Salubong,” was intended to be a welcome gift for Pope Francis when he visited the Philippines in January 2015. It went from being viral to controversial as the painting that was supposed to depict everyday Filipinos instead featured celebrities and politicians like Gov. 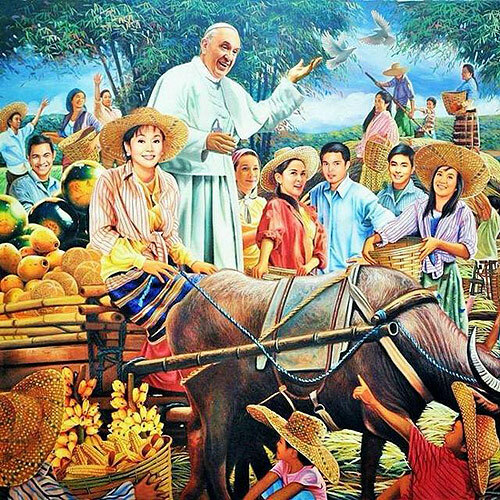 Vilma Santos, Gary Valenciano, Marian Rivera, Dingdong Dantes, Coco Martin, Sen. Grace Poe, and Kris Aquino dressed up as farmers surrounding the Pope. “The painting contradicts the concept of realism as it shows nothing about the submerged reality of the nation’s agricultural workers,” said Michael Beltran, chair of Kabataang Artista para sa Tunay na Kalayaan (KARATULA), in a statement. Hipolito, however, explained that the painting was also a gift for his wife, who was a fan of celebrities. "Mundo ko ito, e. Ito, nag-e-exist ito sa utak ko lang na inilabas ko...Kaso, na-misinterpret ng tao," said Hipolito. Arguably the most controversial installation in Philippine history is Mideo Cruz’s “Poleteismo” which was shut down during its display in the Cultural Center of the Philippines’ (CCP) Kulo exhibit. Why? 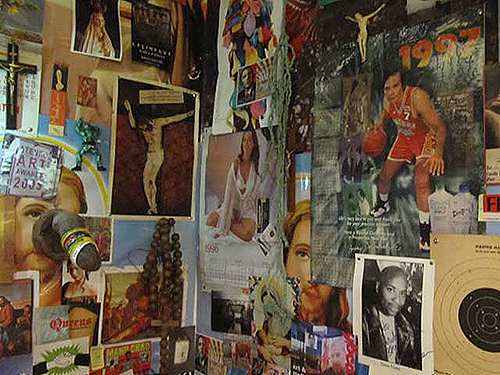 The installation featured images of Jesus Christ with symbols of pop culture, also including a crucifix with a movable phallus. In one part of the installation, a "used" condom was draped on a cross. Religious groups and influential leaders were outraged and labelled it as “blasphemous,” which is not surprising given the conservative Catholicism prevalent in the country. It made international headlines; former First Lady Imelda Marcos described it as “shameful,” while P-Noy also supported closing the exhibit. In the artist’s defense, he said that he intended “Poleteismo” to be a commentary on icon worship. “I wanted to provoke people into thinking. I titled my work ‘Poleteismo’ which loosely translates into many beliefs or many deities. Throughout history, humanity has grown to create new gods and these are not always religious figures but concepts and objects. Some have taken to worshipping money; some see politicians as godsend. People create idols and these idols whether or not they’re deserving of idolatry or worship affect our lives and how we function and see the world,” Cruz said. Photos from GMANews.tv (“Poleteismo”); slmarcelo.tumblr.com (“Gothika Filipina 2”); Christies.com (“The Parisian Life”); DannySilada.weebly.com (“Menstrual Period in Political History”); Inquirer.net (“Las Buyeras”); MutualArt.com (“Muslim Betrothal”); xiaochua.net (“El Asesinato del Gobernador Bustamante y Su Hijo”); DigitalEducation.net (“The Builders”); Marian Rivera’s Facebook fan page (“Salubong”); and artscenecal.com (“Untitled” Burnt Out Europe).